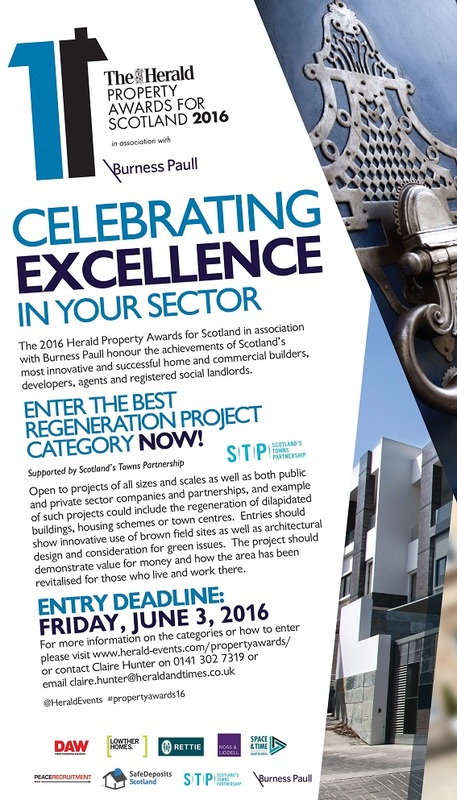 STP is delighted to sponsor the Herald Property Awards for Scotland, Best Regeneration Project Category in partnership with SURF. Open to projects of all sizes and scales as well as both public and private sector companies and partnerships, and example of such projects could include the regeneration of dilapidated buildings, housing schemes or town centres. Entries should show innovative use of brown field sites as well as architectural design and consideration for green issues. The project should demonstrate value for money and how the area has been revitalised for those who live and work there. Download the Entry Form here.